Literacy is the ability to read, view, write, design, speak and listen in a way that allows you to communicate effectively. The power of literacy lies not just in the ability to read and write, but rather in a person’s capacity to apply these skills to effectively connect, interpret and discern the intricacies of the world in which they live. 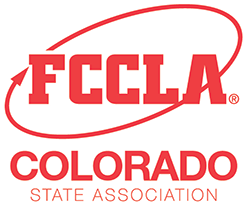 Colorado FCCLA is asking chapters to focus on literacy and encourage chapters and members to read to others, construct neighborhood libraries, or collect books to donate to help spread literacy in Colorado. Get Cooking with Great School Lunch Contest!